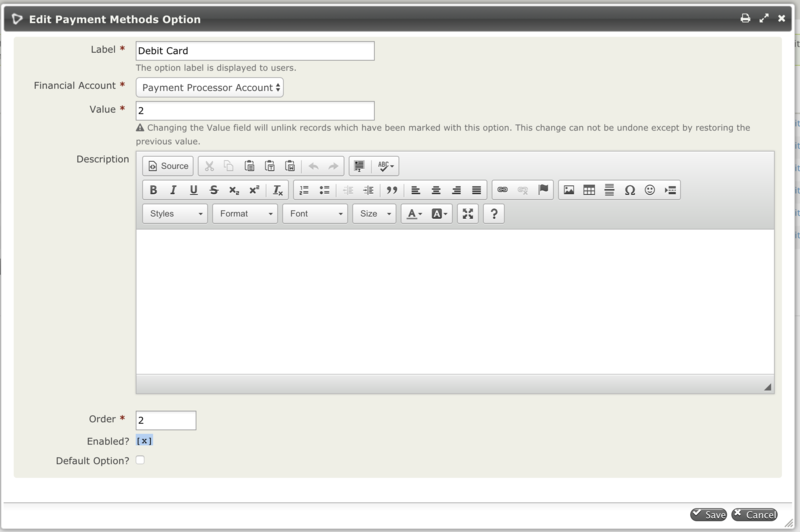 It looks like I can not disable the Debit Card option in CiviCRM. It is safe to disable this option in the database? Is there another option? These are reserved payment option to which civicrm does not provide an option to disable or delete them. Would recommend to first disable it from a development site database since this might result in an unnecessary fatal error as civi expects it to be available in multiple places. If you don't see any error - you can just repeat it on live.